I wish I could say that it will be a regularly scheduled one, but, no, it’s a one-time thing. Please pray for us, spread the word wide and far. Join us if you can. Let us know if anyone coming would like to participate. Singers, servers, food preparation, clean-up. We need you all. “Thank you” to Fr. Pennock, and of course, to the Institute! I haven’t been posting on the hottest issue on the Catholic blogosphere, because quite frankly, I couldn’t compete with the best of reporting on the topic by Rorate Caeli. That’s where I have been going to read the most up-t0-date news, with an abundance of comments by readers. However, I did find this one article which they have not posted, and it does provide a rather balanced perspective. Other medias outlets can’t seem to keep their biases from showing. The comments section is also interesting. I always like to know what’s on people’s minds, don’t you? 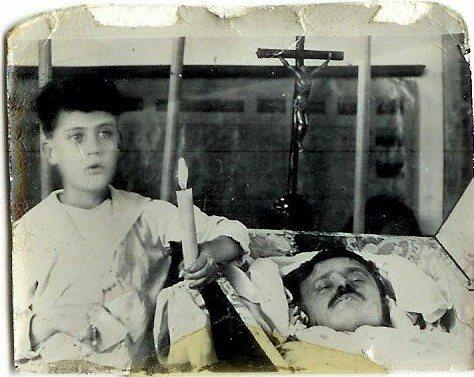 I pray that some of the Cristero blood be sprinkled upon the souls of the Church Militant as we make our way to God, for these are the most perilous of times. So much darkness still lies ahead before the dawn of our Lady’s triumphant victory over Satan. Keep the Faith! ¡¡Viva Cristo Rey!! ¡¡Viva la Santisima Virgen Maria!! [It] is the transcript of a lecture given in 1997 at the Sacred Hearts of Jesus and Mary School located in the Vendee in western France. It was translated by Angelus Press from the Sel de la Terre (Summer 2001). The unidentified quotations are mostly from Hugh Keraly’s Les Cristeros [Grez-en-Boulere: DMM, 1986]. For readers unfamiliar with the history of the French Revolution and the resistance of the Vendee, a province in Western France where the people rose up against the regicide Republicans, Michael Davies’s book For Altar and Throne [available from Angelus Press. Price: $13.95] provides a brief summary of the events and a moving tribute to those heroes and heroines. To me, the facts point to the obvious: Russia still has not been properly consecrated as our Lady requested. A question on the subject was submitted to the com box under the post, “It Will Take a Lot More Than a Papal Visit”, and I proposed to give some factual information as to why I know it has not yet been done. It has been 28 years since the March 25, 1984 consecration of the world by John Paul II, a consecration which in 1989 – five years after the fact – was then surprisingly and to the astonishment of all, proclaimed to be THE consecration of Russia, properly done as requested by our Lady. Thereafter, we were told, we would begin to see the fruits promised by our Lady of Fatima in the conversion of Russia and peace in the world. Although it was not mentioned, it would also follow that after supposedly having complied with heaven’s requests, the other punishments of which our Lady had warned, would also be averted: Nations would be spared annihilation, the martyrdom of the good would cease, the Holy Father would be spared much suffering. Alas, as John Salza writes in the March 18, 2012 issue of the Remnant, “from 1984 to 2005, there were more wars and conflicts than at any moment in history,” and as he also mentions in a footnote, the war against the unborn continues with its death toll of 50 million innocent babies being killed annually through abortion. Even though they claim the consecration of Russia has been properly made, the Blue Army – now called the World Apostolate of Fatima – (see the next paragraph) has continued to draw attention to the obvious, i.e., the world is still a mess and that the perils of the annihilation of nations persist. 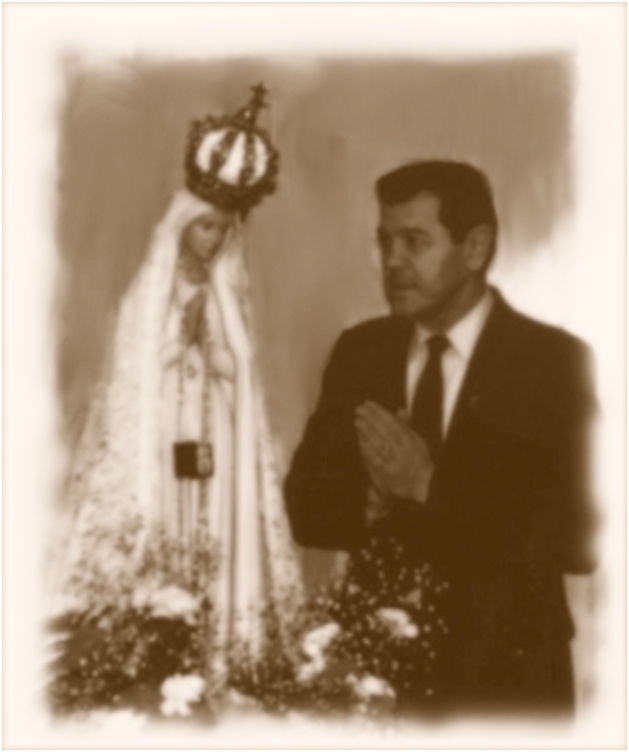 When the organization was founded in the 1950’s its function was precisely to engage in a spiritual crusade for the liberation of Russia by means of the Fatima message, and thus to reap the many spiritual and temporal blessings contingent on that nation’s conversion to the Catholic Faith. Salza also mentions that the WAF, after having abandoned its raison d’ être, “continues on this erroneous path [a program unlike anything our Lady of Fatima requested] with a worldwide ‘inter-religious’ prayer initiative for peace.” He arrives at the logical conclusion that this endeavor is a de facto admission of non-compliance with Heaven’s requests. I certainly agree. What I find especially moving is seeing and hearing the loud “thuds” of the church door being struck three times with the crucifix. We celebrate the triumphant entry of Our Lord into Jerusalem as He is rightfully proclaimed King! But that is not all. More is symbolized in this action. From inside the church penetrate the harmonious strains of Gregorian chant being sung by the schola. Heaven, heretofore closed, is now being opened with the key of the cross of our Lord and Savior! We are now permitted entrance into the Heavenly Jerusalem where Christ reigns as our eternal King! 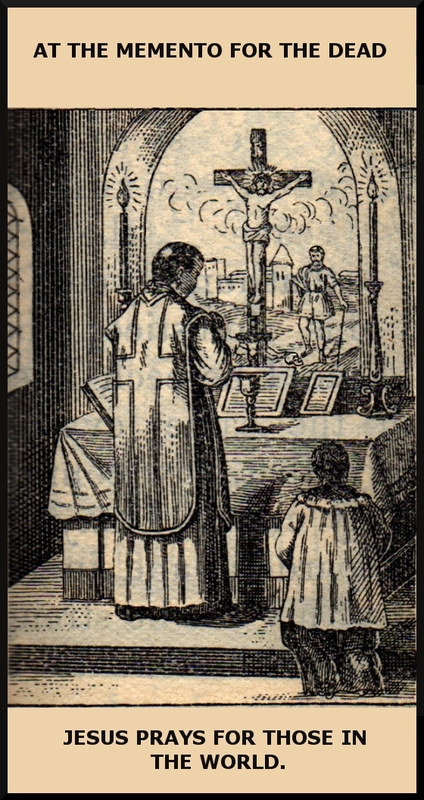 You’ll notice that TLM communities have no shortage of altar boys, and as is typical, no shortage of children and young people. Jesus offers the chalice of His suffering in propitiation for the sins of the world. It is particularly through his anguish of desolation and privation – of feeling forsaken even by His Father – that He merited for souls the grace to overcome the sense of despair which would assail them at the moment of death. 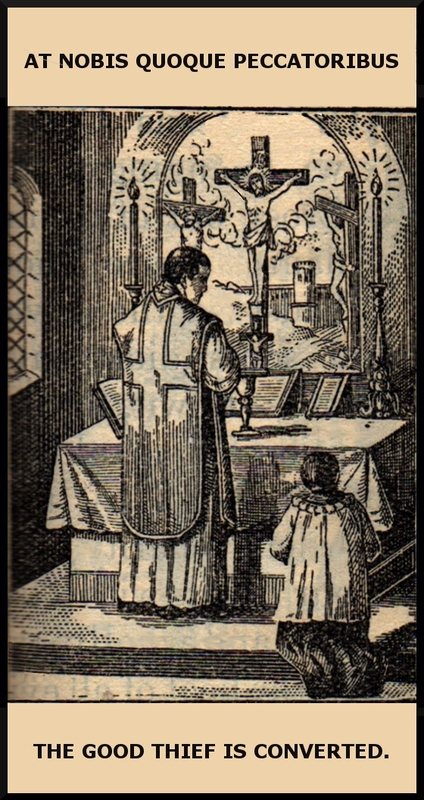 The Church makes a supplication for the holy souls, asking that the living stream of grace flowing from the Sacrifice reach the fiery place of cleansing to refresh and solace those souls still making expiation for forgiven sin, and to free them to enjoy the beatific vision. 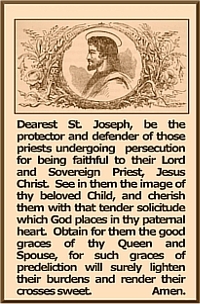 Here is the last of the meditations for this month of St. Joseph. To it, I might add that it seems God is offering us the most powerful aid of Saint Joseph to assist us through the spiritual famine and desolation now afflicting the entire world. We recall that at Fatima, on October 13, 1917, Saint Joseph appeared with the Child Jesus in his arms. Lucia recounted that both of them together blessed the crowds. Observe the words, familiarity and respect! 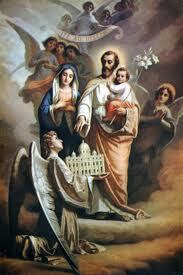 That same Lord who on earth honored Saint Joseph as a father will surely refuse him nothing that he asks in heaven. To which we must add that if Joseph on earth had no authority over Christ’s humanity as his natural father, he had nevertheless, at least in a certain manner as spouse of Mary, who as our Saviour’s natural mother had authority over him. He who has dominion over the tree has too, over the fruit which it bears. Let us imagine then that the Lord seeing us in pain, says to us the words which Pharao addressed to the people at the time of that great famine which desolated the land of Egypt: “Go to Joseph,” Go to Joseph, if you would be consoled…those certainly receive most grace who invoke him most frequently and most confidently. Let us then not fail every day, and several times a day, to commend ourselves to Saint Joseph, who, next to Our Lady, is the most powerful with God of all the Saints. 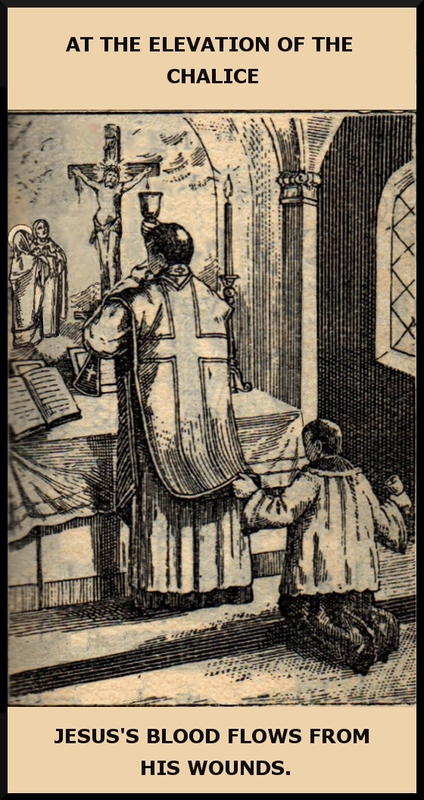 Let us never fail to address him some particular prayer, and more especially in his novena let us multiply our prayers, and fast on the eve of his feast. Let us ask him for graces and he will obtain all that will be useful for our souls. Above all do I exhort you to ask of him three special graces: pardon for sin, love of Jesus, and a happy death…let us have recourse to Saint Joseph, who is more beloved by Christ in heaven now than he was on earth. Let us moreover ask of Saint Joseph love of Jesus, for I am assured that the most signal grace which Saint Joseph can obtain for those who honor him, is a tender lover for the Incarnate Word, in regard for the affection which Joseph had for Jesus in this world. Moreover, let us ask of him a happy death…Those then who have confidence in him should hope that Saint Joseph at the moment of their death will come to assist them accompanied by Jesus and Mary. See, I told you so! Russia has not been properly consecrated. Who can believe that what you see in this video reflects anything of that era of peace which Heaven promised the world once the Church complied with our Lady’s requests? If anything, the stench and fumes of hell have been even more pervasive since 1984. People, it really is serious. We are thick in the middle of the great apostasy foretold in the Apocalypse. As Sr. Lucia said, the devil is in the mood for that final confrontation in which one winner will emerge. We know already which side will be victorious, so choose sides because there will be no middle-of-the road travelers in this one last battle. Papal visits to bolster the troops are having very little effect. All those “John Paul II, we love you” visits to Mexico have done nothing to curtail the deadly destruction to souls! 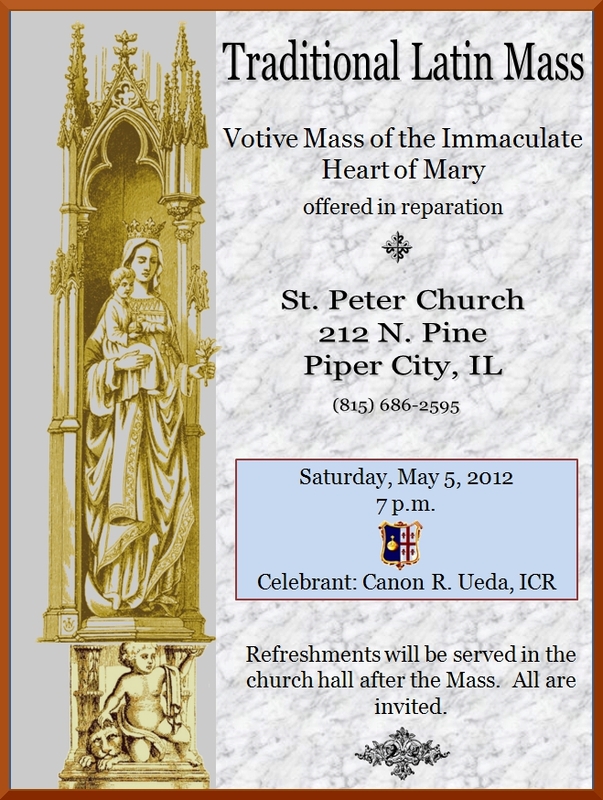 How our Lady must weep. She came with the solution, but who listens to her? 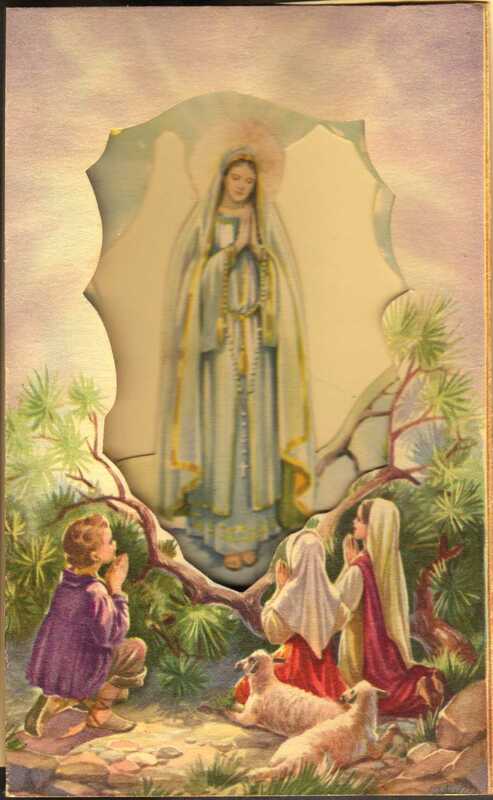 We, the laity, must pray and sacrifice for our Holy Father and our bishops, that they may finally heed the requests that our Lady made at Fatima. Russia must be properly consecrated…or else. PRAY THE DAILY ROSARY WHILE MEDITATING ON THE 15 MYSTERIES. DO THE FIRST SATURDAY DEVOTION IF YOU CAN. WEAR OUR LADY’S BROWN SCAPULAR. Note: I just watched a youtube showing that part of the Mass in which His Holiness gave Communion to President Calderon. While the president did receive on the tongue, he did not kneel. He did only a little better than the queen of Spain.